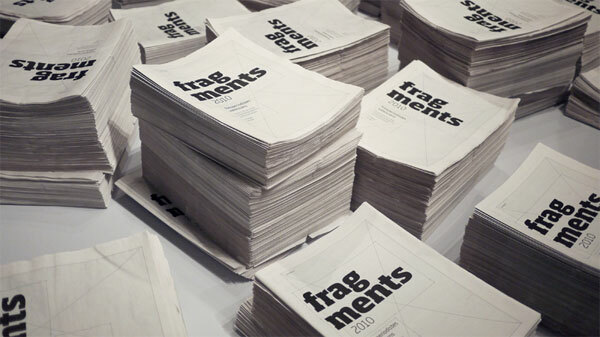 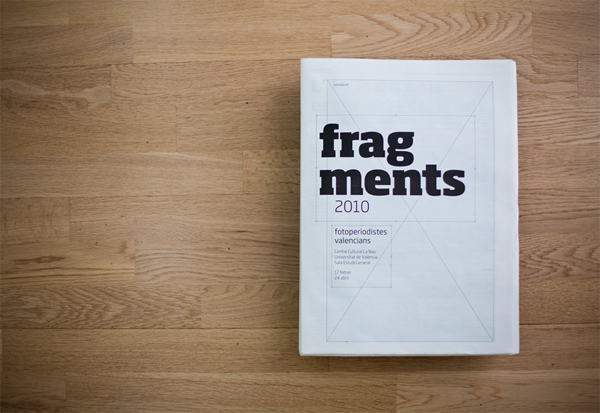 Fragments 2010 is a nice, large catalogue of a collection of photographs from news, sports, politics, and culture. 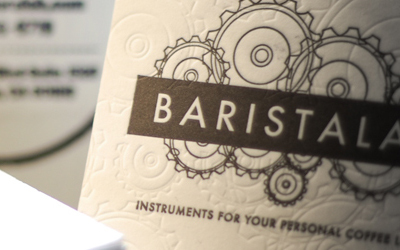 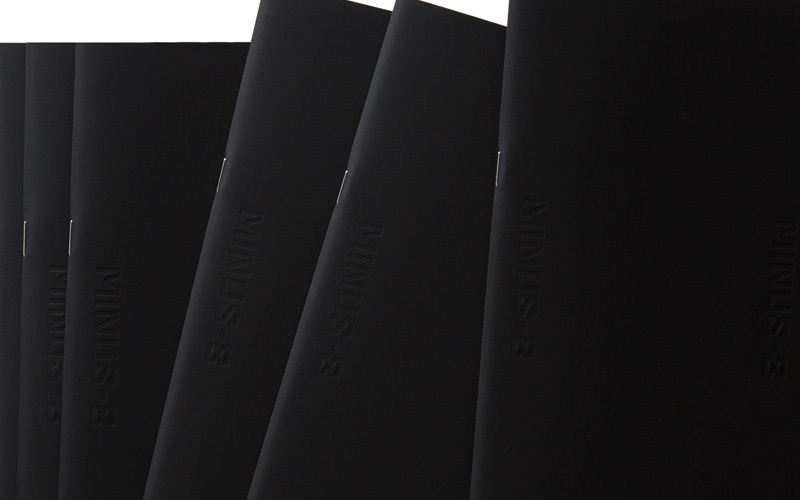 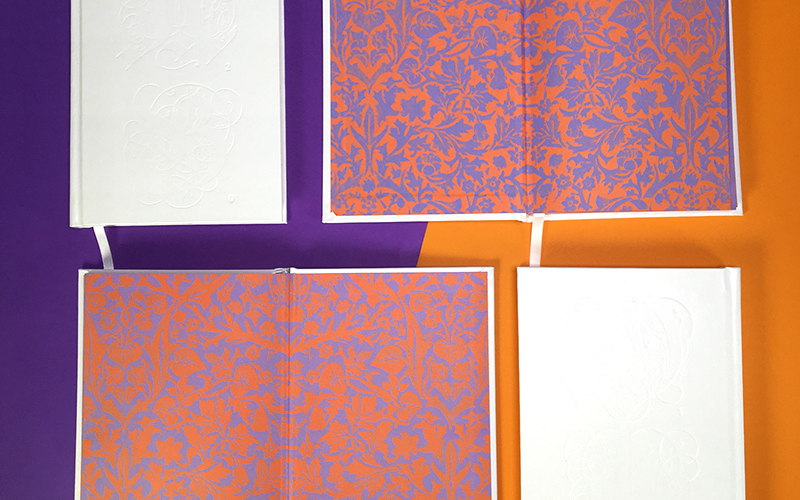 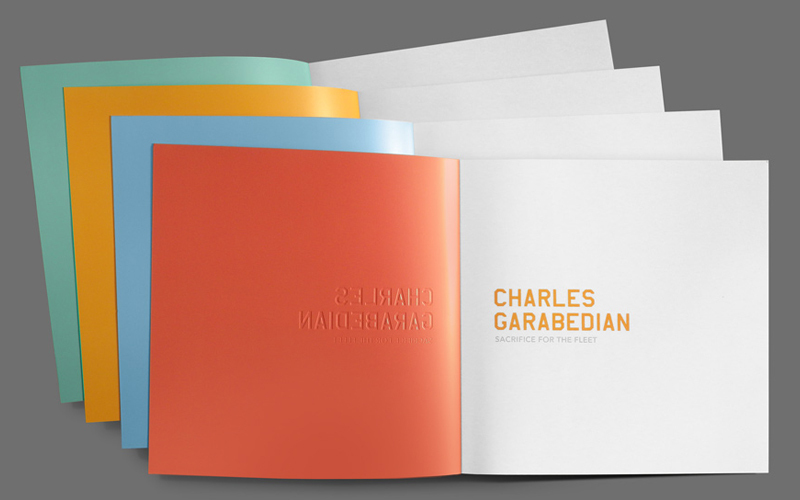 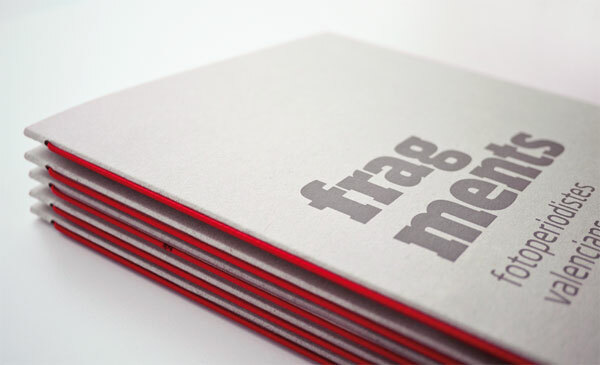 The catalogue is packaged with a nicely designed recycled cardboard folder. 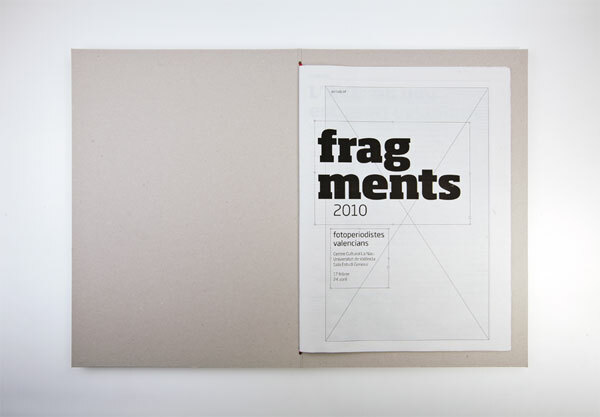 The catalogue itself looks like it is full of interesting content and it has a nice dynamic layout. 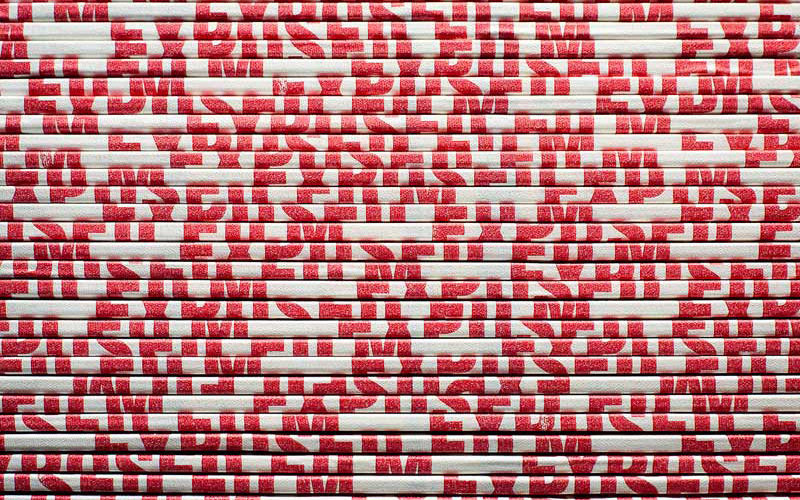 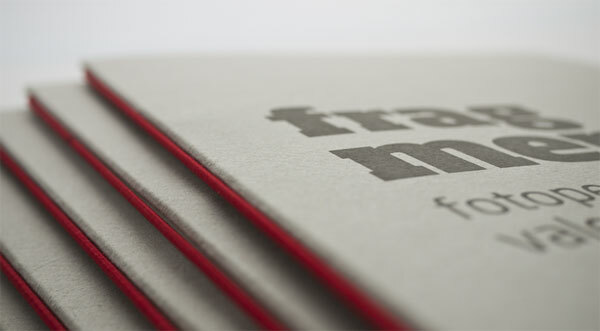 Plus, how awesome is that red band for the binding on the folder? 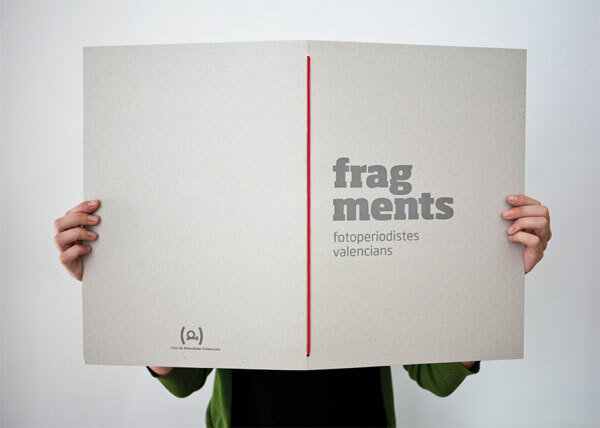 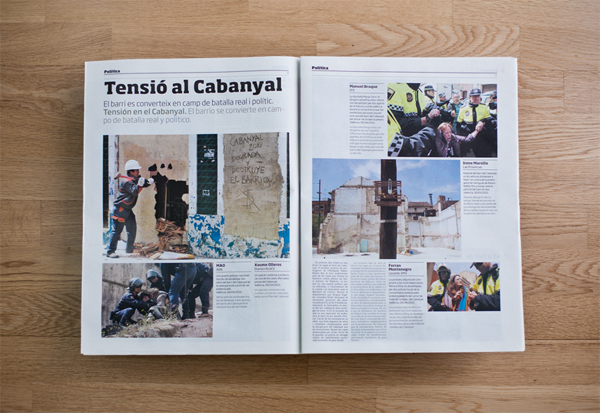 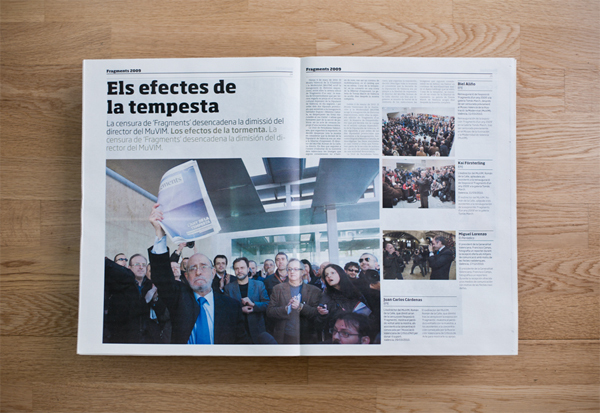 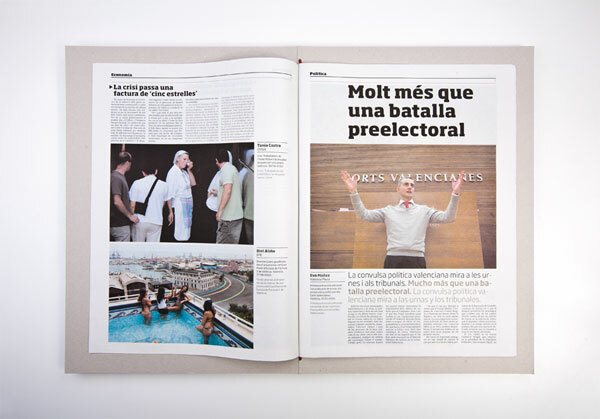 “Fragments 2010” is a project organized by the Association of Valencian Journalists showcasing the highlights of last year with 106 photographs taken by 29 photojournalists from Valencia. 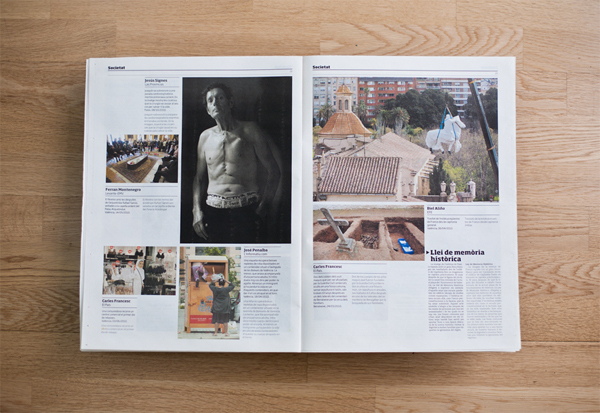 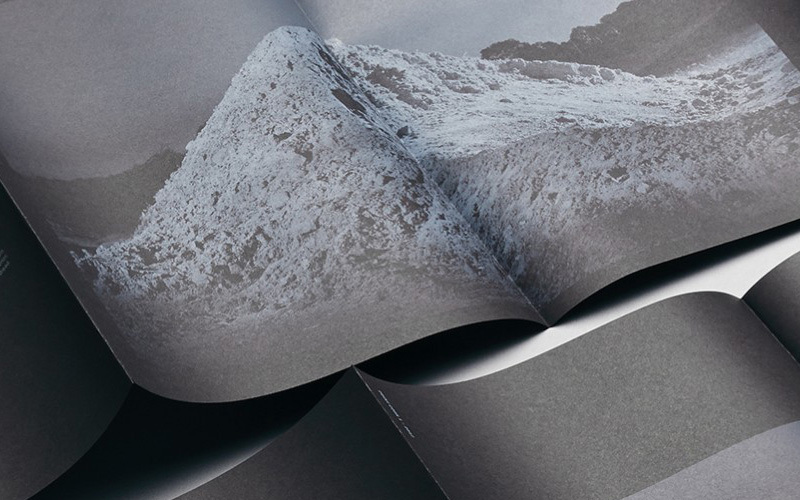 To create the exhibition catalogue, we opted for a design similar to that of a magazine, in which every double page is composed in an independent way. 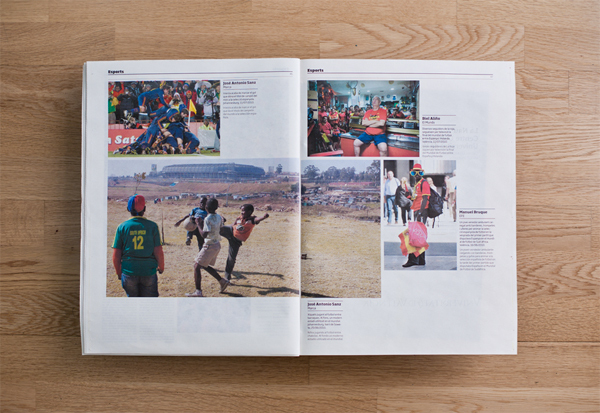 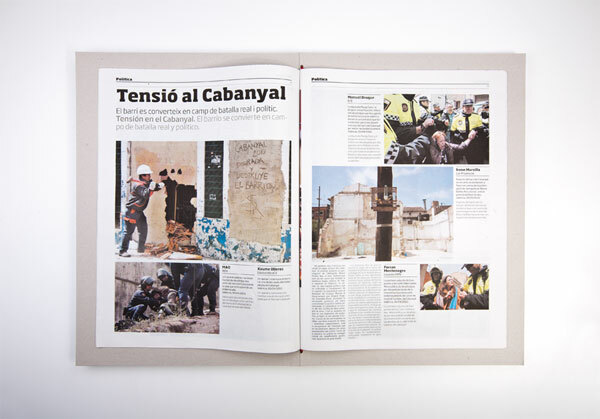 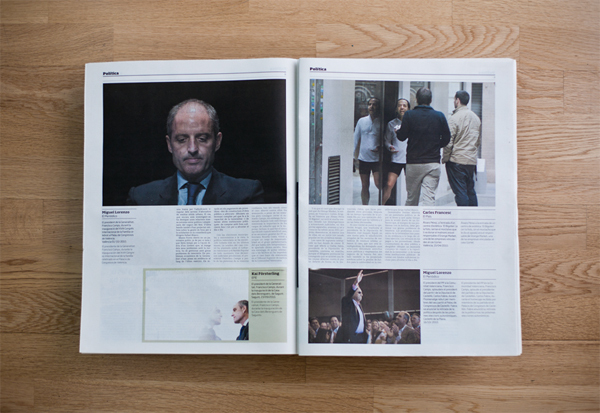 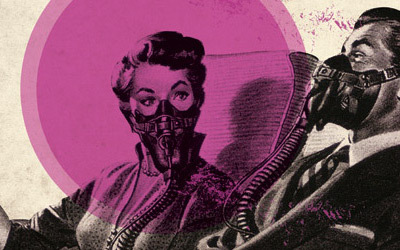 Photographs and text appear as a review of the most significant of 2010.